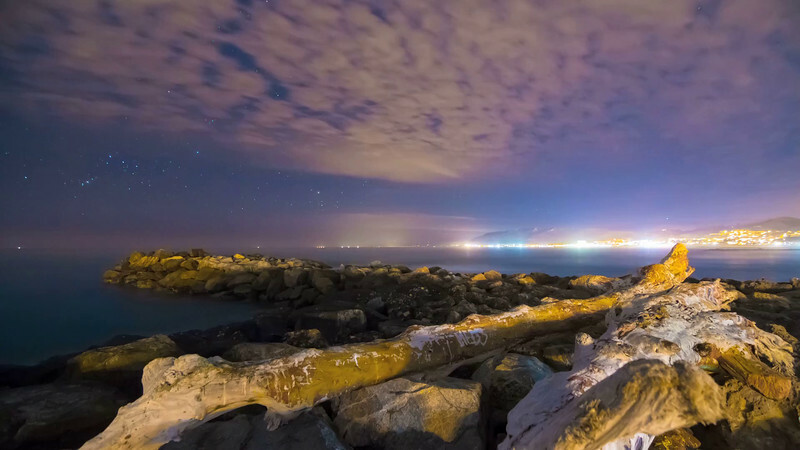 Ocean timelapse watching stars and clouds pass overhead on a warm salt air and driftwood (more like drifttree!) evening out on a jetty at Marina Park in Ventura, California. Ended up arriving later than expected so Orion was already a few degrees above the horizon and dropping, still plenty of twinkly beauties to adore though.